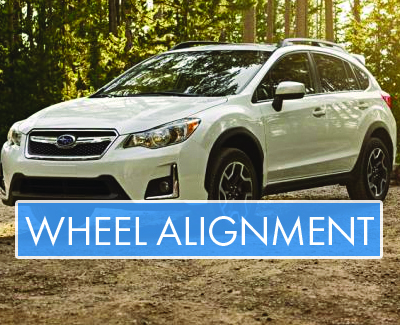 Summer is here and its time to get yourself a wheel alignment with Subaru of Lethbridge. We have high quality service technicians ready to help you get your car prepped and ready for long summer road trips. Do you drive a Chevrolet, Toyota or Honda? Don't let the name Subaru fool you. We have an all-make service lane! Q: WHY DO I NEED A WHEEL ALIGNMENT? A: When your wheels are out of alignment, your tires aren’t pointing in the right direction and can cause uneven wearing. This will affect your steering and suspension, but more importantly, it could affect your safety and the durability of your tires and all the parts controlling them. A wheel alignment will increase the longevity of your tires. Q: HOW OFTEN SHOULD I GET MY WHEELS ALIGNED? A: We recommend an Alignment Check with every other oil change, annually, or about 20,000 kilometres.